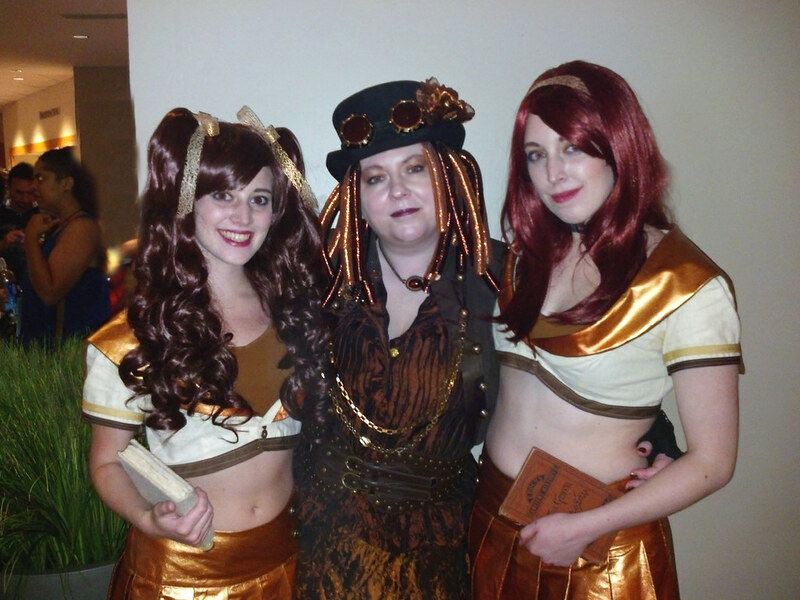 So a quick report on Dragoncon 2012. It was exhilarating, exhausting, colorful, costumed, and such fun. 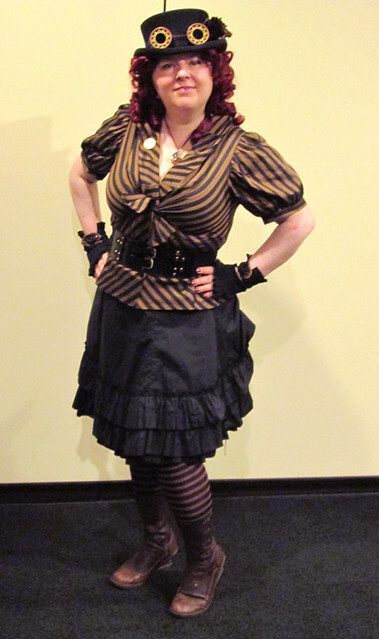 I had seven outfits, but I seem to have only gotten pics of half of them. This seems to happen even when I have my husband along to take pictures, so I guess I can’t complain too much. The two most popular ones were Copernia and the Bride of Frankensteam, although my Bride outfit got downgraded due to the difficulty of it, so I hope to do a full version for Steamcon. As always Big Baby got lots of attention and I am glad I made an effort to bring it. Thanks to Q and his staff, the Alternate History track ran well. My panels ran smoothly. I really enjoyed the Gadgeteer’s Showcase. The amount of creativity there was just amazing. The Mechanical Masquerade was also fun. I got dragged off to the photo booth by Veronique Chevalier, for which I am grateful because I always forget to do things like that. I got to catch the Lantern City panel, which looks intriguing and I got my workers card and key chain for being in line early. Thursday night while buying shoe inserts (the most popular/essential item in the store) The girls in CVS Pharmacy asked what I was from and when I said the outfit was from my imagination, they told me no. It was definitely from a movie. Finally one of them gets very excited and shouts “Lemony Snicket!” They all agreed, and whenever I would drop in to buy a snack, they would call out “Lemony Snicket!” So, I guess I am codename: Lemony Snicket. Who knew? I almost ran over Felicia Day twice. I got petted by a Fraggle. 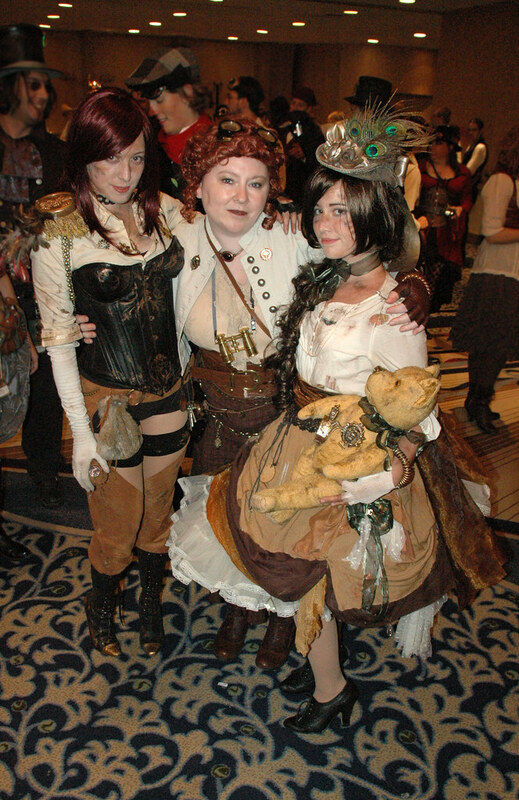 Talked up Steamcon. I mostly lost my voice from all the talking. Got to hang out with friends I rarely see and meet lots of new folks. Had my picture taken a lot, but of course have only found a few of them online. Basically, it was a Dragoncon. Huge. Bustling. Fun.